Keys are yesterday’s tech, your smart home needs a smart lock. But the biggest benefit of electronic entry systems is that they are highly configurable. Digital locks can be changed at a moment’s notice (which is why that old hotel key card in your wallet isn’t good for anything), and the property owner can generate a record of when each door was opened. In a more advanced setting, different keys can be generated for the same lock, so a homeowner can tell when each member of the family came in, or when the housekeeper arrived. Whether you have a teenager that tends to break curfew or merely want to give temporary access to houseguests, service providers, or Airbnbers, smart locks are an incredible upgrade over the old way of doing things. Ready to make the jump to smart lock technology? Here are our top picks of the market at the moment. We’ll be adding more reviews to this story as time goes by. Updated April 5, 2019 to add our opinion of the Array by Hampton smart deadbolt. 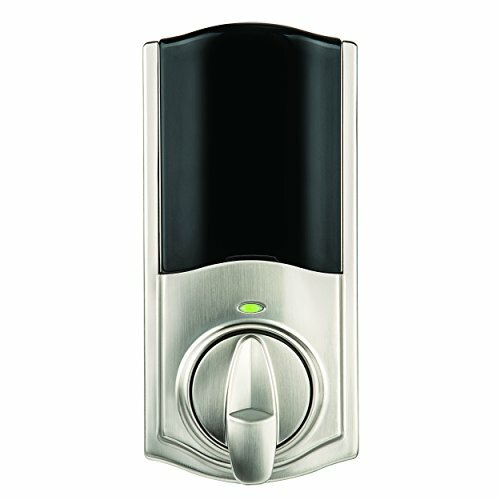 This lock’s connectivity is based on Wi-Fl as opposed to a low-power protocol such as Z-Wave, ZigBee, or Bluetooth. Hampton touts this as a major benefit, since you don’t need a hub or bridge to connect the lock to your home network. But it ends up being a drawback for folks who live in smart homes, because you can’t pair it with a smart home hub. There’s a lot to like about this product—especially the integrated solar panel that keeps its battery topped off—but that hub limitation is definitely not on our list of favorite things. This capable smart lock offers commercial-grade construction and impressive reliability. The Schlage Sense smart lock may not win any awards for attractiveness—or ease of installation, given the two dense instruction manuals that must be followed—but if you really want to secure your home with a smart lock, and have faith that it’s actually working, this is the product to get. What if you’ve lost your phone? You can open the lock via an illuminated, smudgeproof numeric keypad or with a physical key. A recent update added the ability to unlock the door with a voice command (you’ll need to speak a PIN code you set up to complete the action). 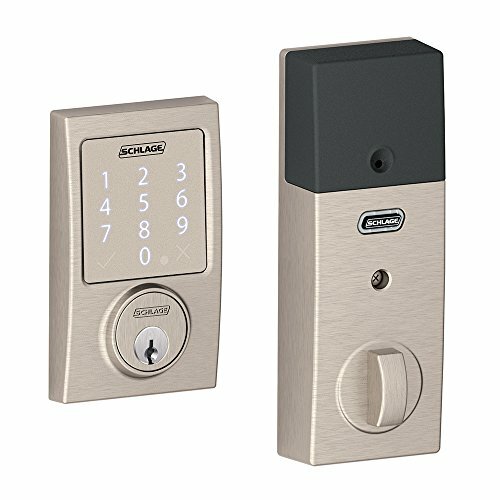 Schlage added the same feature to the similar Schlage Connect. An all-around solid smart lock built for iOS enthusiasts. 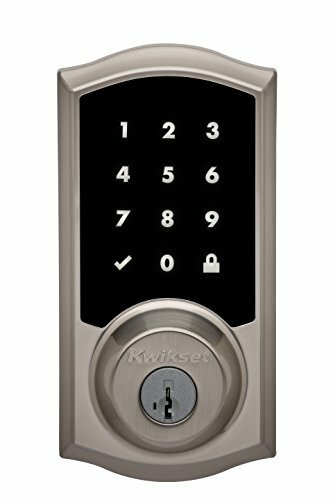 A close runner-up to the Schlage Sense is the very similar Kwikset Premis, which also offers a touchscreen keypad, keyed entry, and HomeKit compatibility. Even without an Apple TV, you can use Siri to tell the Premis to open and close; this all gets set up during the initial installation. The app is simple and streamlined, though that comes at the expense of more advanced features, like geofencing and the ability to set individual access schedules. The Premis feels a touch less sturdy than the beefy Schlage, but if a less obtrusive (and a bit more simplistic) lock is more to your style, it’s a no-brainer. The streamlined installation process is one of the easiest in this group, and unlike our runner-up, once you’re finished it becomes a real part of your smart home, integrating with Alexa, Apple HomeKit, Google Assistant, the Wink Hub and Samsung’s SmartThings. What’s more, the August Connect Wi-Fi Bridge is now included in the price of the lock, and another new feature—DoorSense—informs you when your door is ajar. This budget retrofit kit is a less exciting, but reasonable, way to turn any deadbolt into a smart lock. Just pop off your old deadbolt and affix the Kevo Convert in its place, and voila! 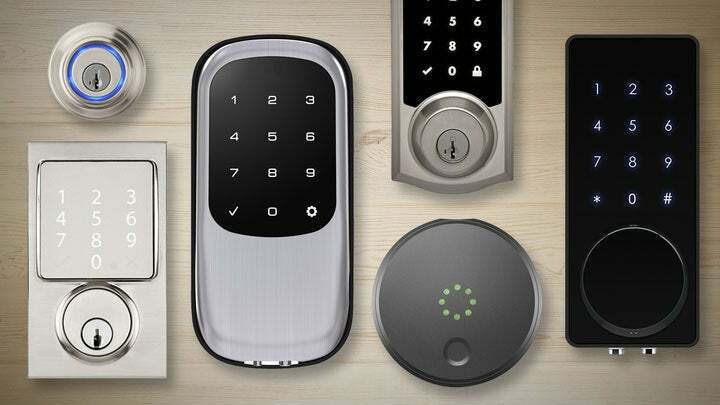 Your smart home’s lock is upgraded. The Kevo Convert isn’t as easy to install as the August Smart Lock, but it does offer some upgrades in the form of a more familiar interior deadbolt design and plenty of app-driven features, such as keys that expire after a preset time. Unfortunately, the Kevo Convert is a Bluetooth-only affair, so it can’t be hooked into a smart home network—though a $100 add-on called Kevo Plus can at least let you check your lock’s status and open it when you’re not at home. On the whole, if your needs are simpler (and your existing lock is compatible), the Kevo Convert is a reasonable way to get started with smart lock tech. How do you pick a smart lock? (No pun intended.) This is a young and wildly immature space, and many products on the market are still extremely rough around the edges. Even top products can balk when dealing with old or stiff deadbolts, doors that don’t shut well, or environments where non-standard fixtures are in use. The bottom line is that it’s tough to declare that any product is universally perfect for every home. That said, here are some key considerations to take into account to help you narrow down your shopping list. How smart is it? An important caveat to consider first: Some “smart locks” don’t work with a smartphone app or any smart home networking hubs at all; they’re really just electronic locks that use a code instead of a key to open up. One step up from that, you’ll find Bluetooth-only locks. 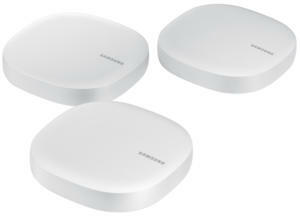 These work with a smartphone app, but can’t be monitored remotely or via a smart home system. That’s fine if you’re looking to get rid of the keys in your pocket, but less impressive if you want to make your entrance portals a true part of your home network. Replace or retrofit? You’re forgiven if you don’t want to replace your antique doorknob on your vintage Victorian with a metallic device that looks like it would be more at home keeping people out of a strip mall bank branch. A sizeable number of smart lock products don’t require you to replace all your existing hardware. Instead, they are installed on the inside of the door only, replacing only the interior part of the deadbolt. You can continue to use a standard key from the outside or open the lock via a smartphone app. 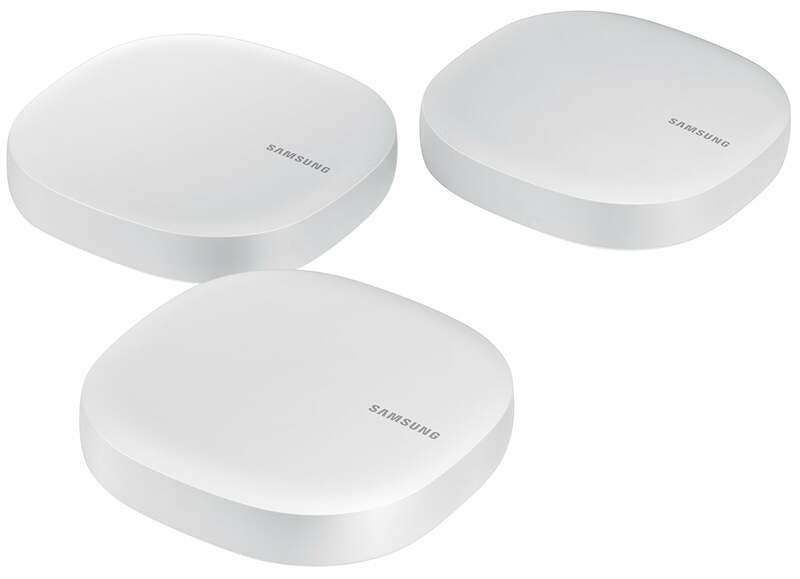 Smart home hub integration If you have an existing hub like the Wink Hub 2, Samsung SmartThings, or an Apple TV, you’ll want to ensure your chosen smart lock is compatible from the start. Many smart locks support Bluetooth, so they work with your phone, but lack the technology needed to connect with your home network. Some Bluetooth locks, like the Yale Assure system and the August Smart Lock, offer a radio module as an add-on to connect to your home network. If you’re using a smart home hub like the Samsung SmartThings or Wink Hub, look for a lock that supports Z-Wave or ZigBee, instead. Alternate entry means Forgot your phone at the office? How will you get in the house? Physical key? Numeric keypad? Wait for your spouse to arrive? Myriad different approaches are available. Power backup What do you do if the batteries inside the lock die—and you’re stuck outside? Some locks allow for emergency power to be applied should this happen. Yale’s Real Living locks feature external posts to which you can connect a 9-volt battery, giving you enough juice to get the door open. Other models retain the traditional key cylinder for backup. Geofencing Bad about manually locking the door when you leave? A geofencing system automatically locks the door when it detects your phone has left the vicinity, and can be set to automatically open up when it finds you’ve come home. Guest access features Most smart locks let you set up temporary keys for houseguests, which you can delete when they’ve returned home. Smarter systems even let you set time restrictions around when each access code can be used. There’s plenty to like about this smart deadbolt, but its inability to integrate with a smart home hub—no matter the brand—makes it hard to recommend to smart home dwellers. The world’s first smart lock/camera combo works as intended, but it’s not the most attractive product to put on your front door. Friday’s retrofit lock is pint-sized and nice on the eyes, but it’s missing key smart lock features. This smart lock looks better than most, but setup is a headache. Expensive and overly complicated compared to other Bluetooth deadbolts.